Jayaraj Trucks & Buses is the authorized dealership for Daimler India commercial vehicles & is known for delivering great customer service. With a strong network and a dedicated team, it is our duty to ensure your truck & bus business is most profitable. We offer BharatBenz brand of world-class trucks & buses, and Mercedes Benz brand of luxury buses to the south & central Tamil Nadu transport industry. With models and specifications ranging from a 9 tonne medium duty truck to a 49 tonne tractor head, Jayaraj can supply a vehicle that has a worldwide reputation for premium quality and is fit for any transport application. Please browse our website http://www.jayarajtrucking.com/ or contact us via our 24x7 toll free helpline on 1800-3002-7057 if we can assist you further. Daimler is the world's biggest manufacturer of commercial vehicles. Daimler is also the inventor of the first motorized bus, truck, car & two-wheeler. BharatBenz and Mercedes Benz brands operate in India under the Daimler Group. In 2012, BharatBenz embarked on our journey in India with one definite promise- Transform the Indian Commercial Vehicle Industry. Today, the BharatBenz range of 9-49 Tonne trucks have redefined how trucks are used in India. 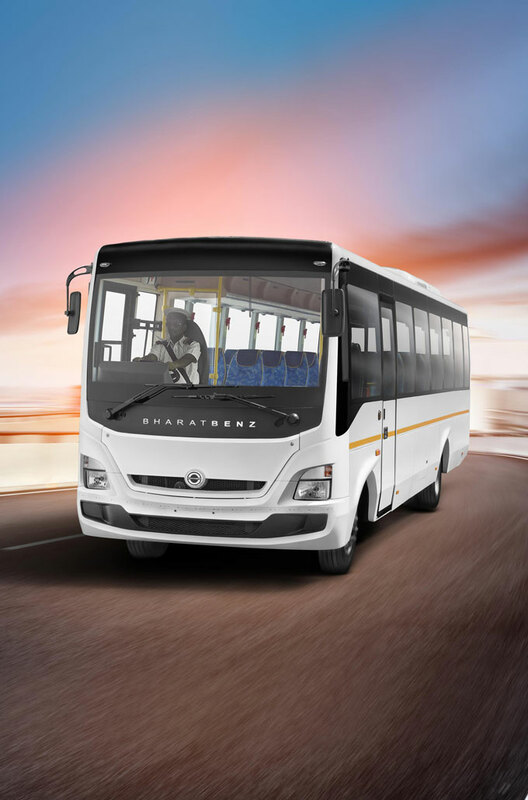 With the new range of modern 9 Tonne buses, BharatBenz is now determined to make buses the preferred mode of transportation in the school, staff and tourist transport. The travel experience for the Indian traveler, and the way of work for the bus operator are set to be transformed through creation of new levels of comfort, reliability and most importantly, safety. With state-of-the-art showrooms, and workshops conveniently located on important national highways at Trichy, Madurai, Tirunelveli & Tuticorin, we are easily accessible. 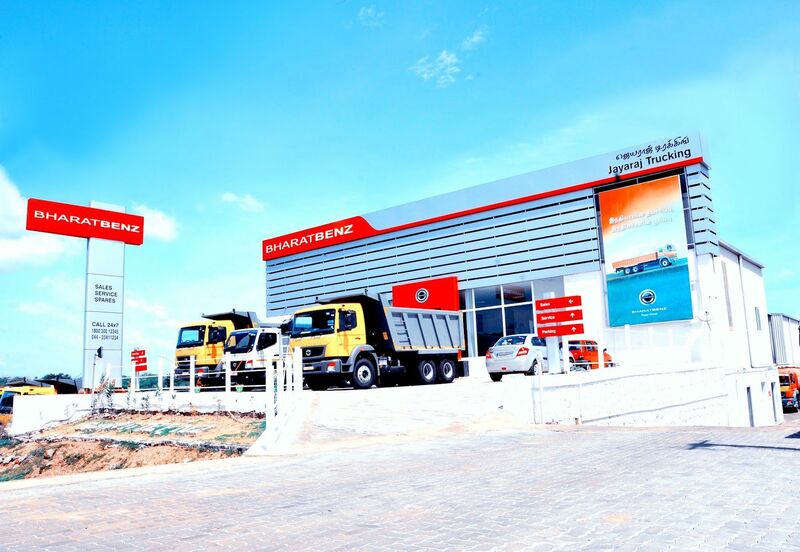 Our dealership stocks a broad range of BharatBenz truck & bus parts and Mercedes-Benz bus parts. Our technicians are factory trained and fully accredited on all Daimler products, attending regular training sessions provided by the manufacturer. It is our company's commitment to training that ensures our technicians are always up to date with the latest technologies, and are fully capable of servicing and repairing any Daimler product, in turn maximizing product reliability and minimizing customer downtime. The workshop hours of operation are from 9:00 am – 6:00 pm Monday to Saturday for all servicing and repair requirements. Our workshop offers on-site servicing as well as providing a 24-hour emergency breakdown service. Our on-site mobile service van is available 24 hours a day, 7 days a week for all your on road servicing needs, including emergency roadside assist. Our service van is capable of servicing all vehicles. We can also assist you with fleet-specific servicing requirements.